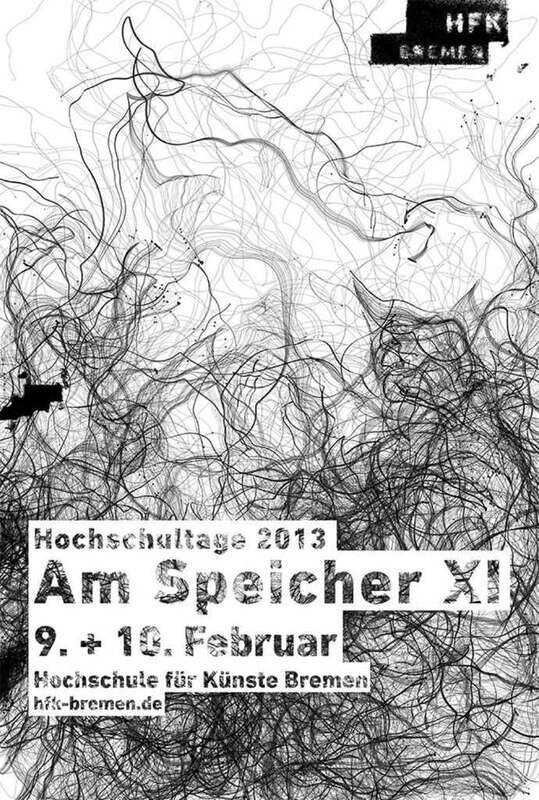 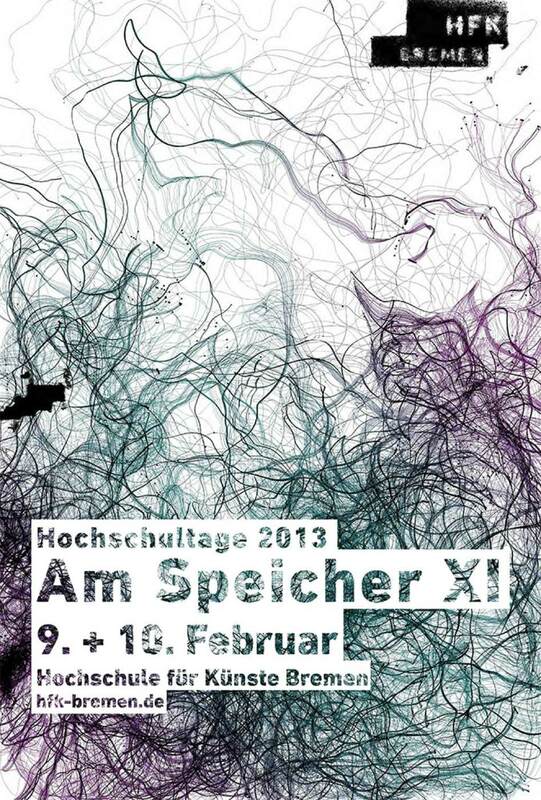 A poster competition was announced for the Hochschultage at the University of the Arts in 2013. 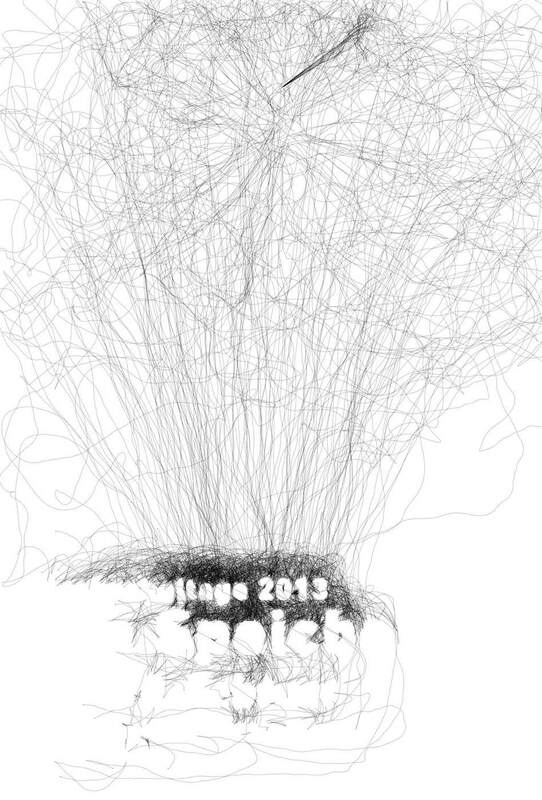 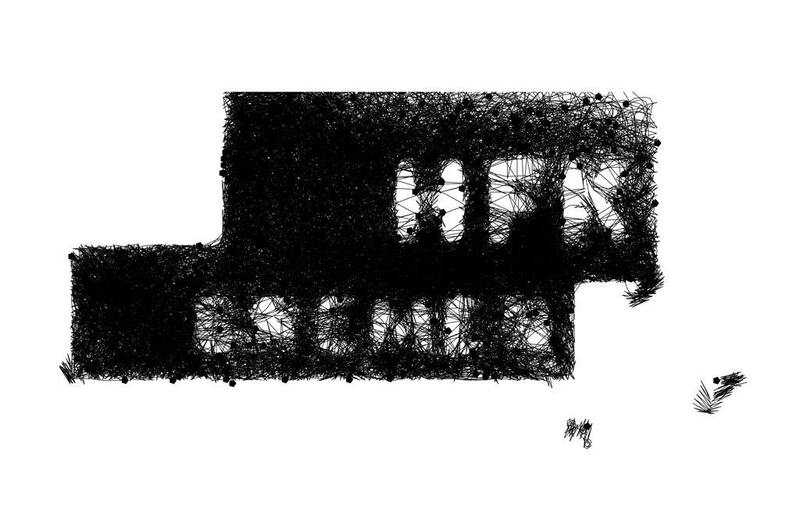 My design is a generative system. 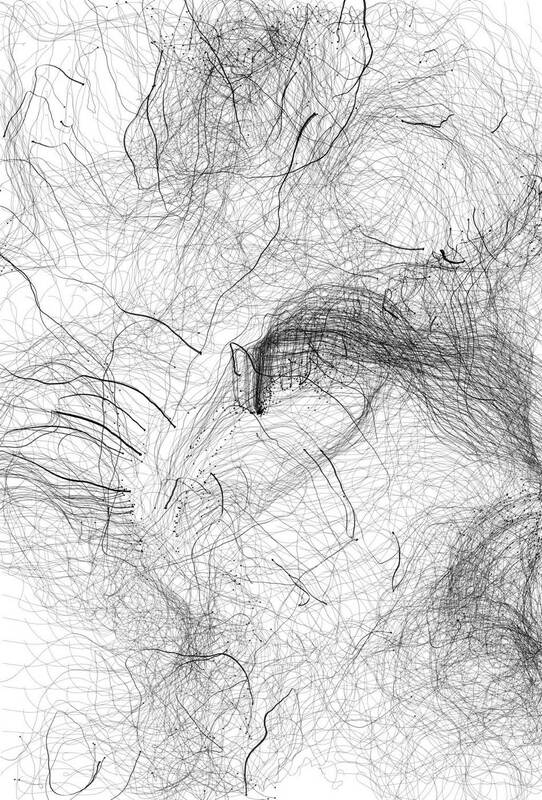 The different variants generated by a variety of moving particles that leave their traces in the form of paths.